Soon after the release of the Supreme Court’s order on September 27th, 2016, the internet has been flooded with articles criticising the judgment in Imdad Ali’s case mainly on the grounds that the Court has declared schizophrenia to fall outside the scope of mental disorders and as a recoverable disease. While this may offer good news to schizophrenic patients stigmatised as mentally ill, it severely curtails their rights which they might otherwise have been given on account of their illness. On October 28th, Ali’s wife, Safia Bano filed a review petition in Supreme Court. While, the petition has been dismissed, Ali’s execution has been stayed by the Supreme Court until the second week of November 2016. To avoid any dangerous precedent being established due to any wrong interpretation of the judgment, it is important to discuss the reasons behind the final decision. From the above definition, it can be noted that there is no distinction made between a mental illness which is recoverable and one which is not. Just because a person manages an illness doesn’t mean that he does not suffer from one. The illness is always there but the intensity of it can vary depending on the circumstances faced by the patient. The British Pakistani Psychiatrists Association in response to the issue explained schizophrenia as a “remitting, relapsing illness”, thus clarifying that a schizophrenic patient always has a risk of facing the symptoms of the illness even after recovery. The important question is whether the court should have given its own definition over already established medical definitions of schizophrenia, especially when it is not defined specifically under any Pakistani law. In my view, the answer is clearly ‘no’ and in doing so, the court went beyond its powers and constitutional limits. It is important to note that the judgment has been misinterpreted by many people who have criticised it. For starters, the court has ruled out schizophrenia completely as a mental illness. Secondly, there is a misunderstanding that the court dismissed mental illness as a defence to murder, hence ordered the execution of Ali. In order to avoid any wrong conclusions derived from the judgment, it is imperative to address these issues in greater detail which should have been the court’s responsibility in the first place. In regard to the definition of schizophrenia, the judges drew a distinction between those cases in which the patients recover from their illness thus not being mentally ill anymore and cases in which the patients continue to suffer from schizophrenia. Nonetheless, the judges should have not made this distinction on the basis of a few Indian cases given the consequences that would follow out of this decision. 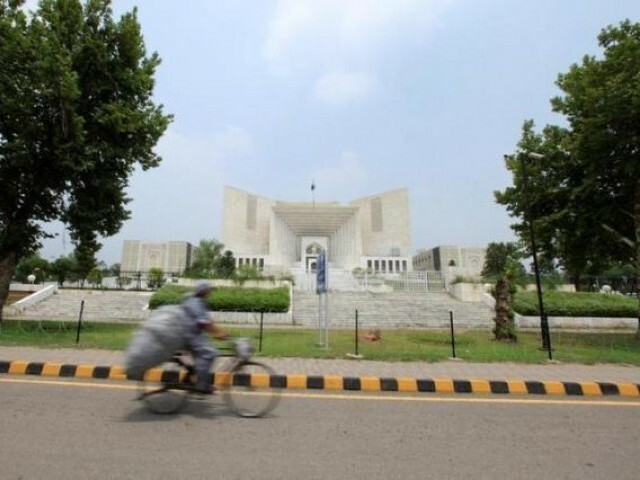 What’s interesting about the judgment is that, after all the lengthy debate surrounding the definition of schizophrenia, it dismissed the petition on the grounds that all the other courts (including the Supreme Court of Pakistan) have rejected the plea of insanity, and the mercy petition has been dismissed by the President of Pakistan. The reason behind the public outcry is the failure to understand that the court did not dismiss the petition because mental illness is not a defence for murder. On the contrary, it decided not to interfere in the findings of the trial court and the other courts which rejected the plea of insanity based on the evidence recorded and produced before them. From a legal point of view, I agree with their judgment to some extent – only because it upheld the findings of the other courts and respected the decision made by the President of Pakistan. However, where disregarding schizophrenia as a mental disorder is concerned, I think the judges shouldn’t have departed from the medical definitions. Given the serious nature of the illness, coupled with the provision of a medical record revealing that Ali was considered a psychiatric patient suffering from schizophrenia, ethically speaking, the court should allow Ali to recover from his illness before his execution. If the court really thinks that schizophrenia is a recoverable disease then what harm would it have done to the public if Ali was provided with medical help to treat his imbalance, if not a mental illness? It is one thing to say that Ali did not suffer from schizophrenia at the time of committing the murder, and another to declare him as not suffering from a mental illness at all. If schizophrenia is not a mental disorder, are the courts trying to imply that all the disability benefits availed by schizophrenic patients should be taken away because, after all, it is a recoverable disease and not a mental disorder? Court has declared schizophrenia to fall outside the scope of mental disorders. Perhaps the author should take the time to outline the function of Pakistan high court. Are they to interpret the countries constitution or the countries laws or to assess the medical opinion of the accused people?